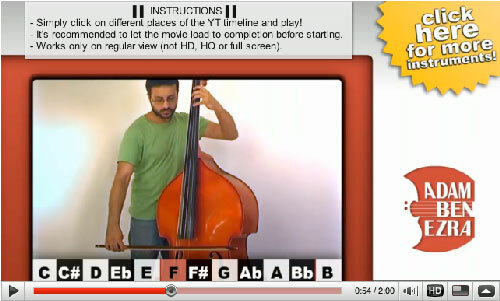 Playing the bass by sliding the video’s timeline … a YouTubeBass is something that we don’t necessarily need, or what we have inpatiently been waiting for – but it’s a funny idea, anyhow. But don’t miss to watch Adam Ben Ezra’s double bass version of the Michael Jackson’s Billie Jean! This entry was posted in Link Tip, video and tagged Youtube. Bookmark the permalink.